http://smilecincy.com/gallery-item-type/dental-bonding/ http://shineonfit.com/?p=1946 Pedro Cano was born on June 19, 1920 in La Morita, Nuevo Leon, Mexico. At two months old, he moved with his parents to Edinburg, Texas. Other details of his early life are sketchy, but it’s known he was married and had a daughter when he entered the United States Army for service during World War II. It’s likely he was drafted, but his enlistment record is lost to time. Regardless, he left his family to serve his adopted country; a country of which he was not yet a citizen. Even though his command of English was lacking, by December 2, 1944, Cano was a bazooka gunner in Company C, 1st Battalion, 8th Infantry Regiment, 4th Infantry Division. On that day and the next in combat near Schevenhütte, Germany, Private Cano used his rocket launcher to eliminate several Nazi strong points. Rank and organization: Private, U.S. Army, 4th Infantry Division. Place and date: December 2-3, 1944, Schevenhütte, Germany. Entered service at: Texas. Private Pedro Cano distinguished himself by acts of gallantry and intrepidity above and beyond the call of duty while serving with Company C, 8th Infantry Regiment, 4th Infantry Division during combat operations against an armed enemy in Schevenhutte, Germany on December 2 and 3, 1944. On the afternoon of the 2nd, American infantrymen launched an attack against German emplacements but were repulsed by enemy machinegun fire. Armed with a rocket launcher, Private Cano crawled through a densely mined area under heavy enemy fire and successfully reached a point within ten yards of the nearest emplacement. He quickly fired a rocket into the position, killing the two gunners and five supporting riflemen. Without hesitating, he fired into a second position, killing two more gunners, and proceeded to assault the position with hand grenades, killing several others and dispersing the rest. Then, when an adjacent company encountered heavy fire, Private Cano crossed his company front, crept to within fifteen yards of the nearest enemy emplacement and killed the two machinegunners with a rocket. With another round he killed two more gunners and destroyed a second gun. On the following day, his company renewed the attack and again encountered heavy machinegun fire. Private Cano, armed with his rocket launcher, again moved across fire-swept terrain and destroyed three enemy machineguns in succession, killing the six gunners. Private Cano’s extraordinary heroism and selflessness above and beyond the call of duty are in keeping with the highest traditions of military service and reflect great credit upon himself, his unit and the United States Army. At the time, Cano was awarded the Distinguished Service Cross, which he unceremoniously received in the mail. In April 1946, General Jonathan Wainwright IV, himself a Medal of Honor recipient, attended “Pedro Cano Day” in Edinburg and re-awarded the DSC to Cano, commenting at the time that he should have received the Medal of Honor for his actions. Cano was a victim of discrimination for being a racial/ethnic minority and a non-citizen. One month later in May 1946, Cano became a naturalized United States citizen. 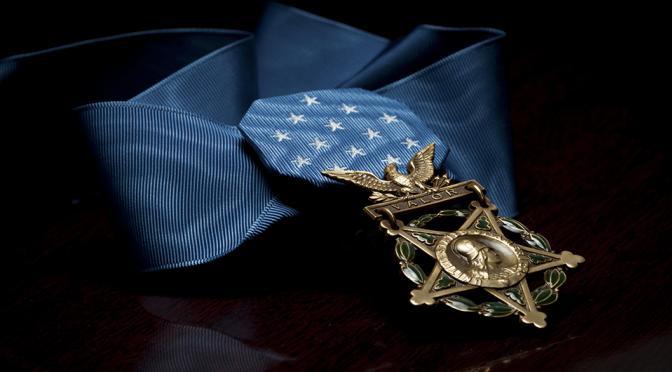 It took nearly seventy years for his courage to be properly recognized when his DSC was among those upgraded to the Medal of Honor in a ceremony presided over by President Barack Obama at the White House on March 18, 2014. Cano suffered greatly from post-traumatic stress and was killed in a traffic accident on June 24, 1952. He was just 31 years old, and rests in peace in the Hillcrest Memorial Park in Edinburg. 1st Battalion, 8th Infantry is a component of the 3rd Armored Brigade Combat Team of the present day 4th Infantry Division at Fort Carson, Colorado.